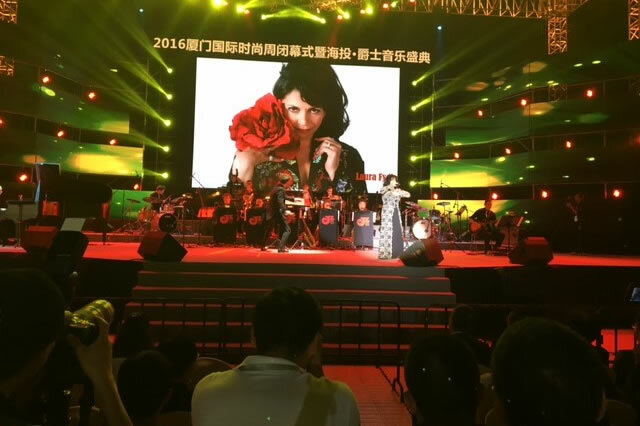 On November 9 Laura traveled to Shanghai to rehearse with the JZ Big Band for the jazzfestival that took place on November 13 in Xiamen, a beautiful city on the Eastcoast of China. 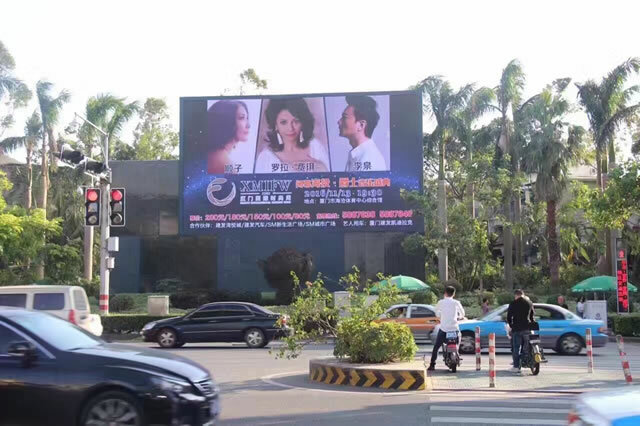 Laura is one of the special guests and this is clear from the huge billboard that has been positioned. Before the concert starts all celebrities are expected to walk the red carpet. Laura is accompanied by her musical director, the flamboyant Alec Haavik. 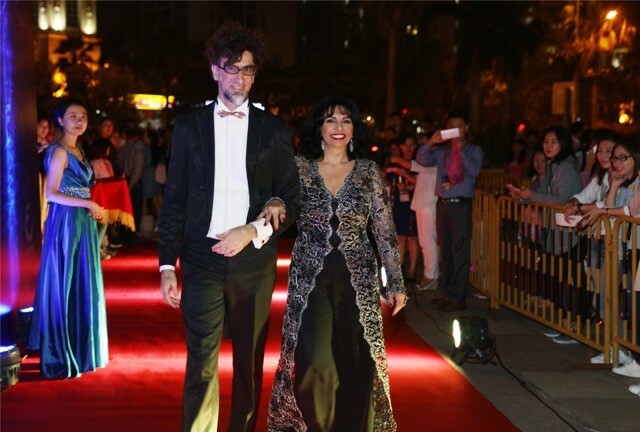 The performance is a great success and the press does its utmost to shoot the best picture.